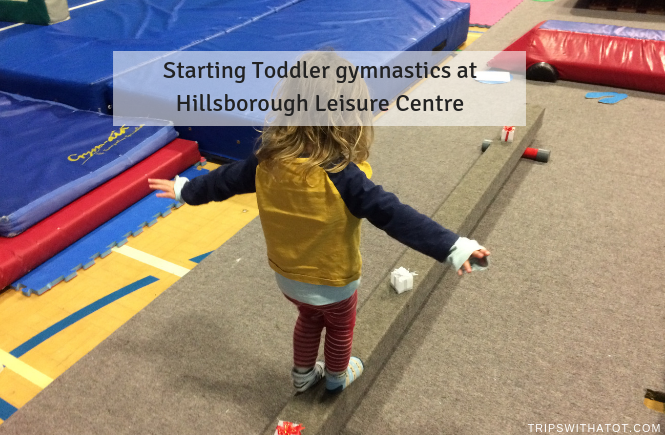 Today we tried toddler gymnastics at Hillsborough Leisure Centre. The classes were recommended to me by members of my community group after I posted looking for active classes and groups for Eric to try. 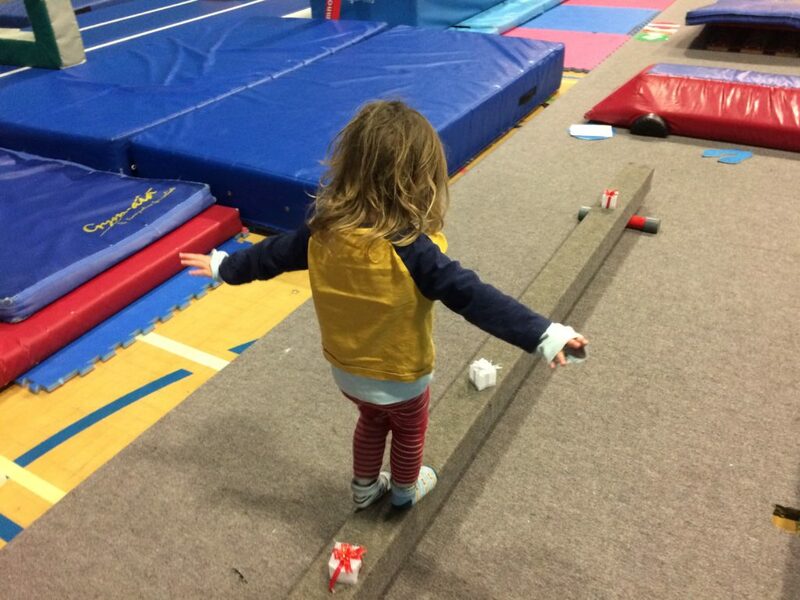 He loves climbing and balancing, etc., and an indoor class is perfect for this time of year, too… so I booked a free trial. Btw, I wasn’t sure if taking pictures is allowed so had to do them on the sly which explains the bad quality! £26 a month by direct debit, so about £6.50 a class. The classes are in the sports hall in the leisure centre. We booked the 2pm trial session today. On arrival to the sports hall, the gymnastics class was happening in half of the room, separated by a board; the other half was another class with adults (looked like exercise). You can’t see the other room when you’re in your class. 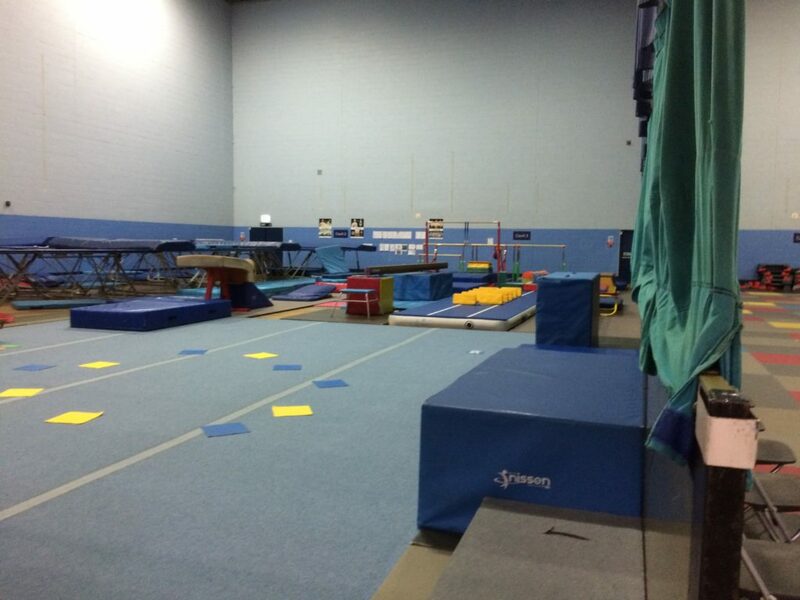 The gymnastics class room is really big and open. I immediately noticed how much equipment there is set out to use and was excited to get Eric stuck in. A class before us was just ending when we arrived, but ours started straight away so it does seem the classes are back to back at times. It wasn’t busy at all. There were only 4 families including us in our 2pm class and around the same in the class before ours. Lauren, the instructor, got started promptly with a warm up song. This had basic stretches to music and such with instructions, which she demonstrated. She encouraged all the kids to do what she was doing and praised them for their efforts. Eric was really shy at first and didn’t want to try but after only about 5 minutes, he settled in right away and started joining in doing balancing with a bean bag. Lauren demonstrated how to use the bean bag and turn around in a full circle, then drop the bean bag forward, and backward, balance the bean bag between knees whilst lifting legs up, press ups with the bean bag; a variety of things to do with the bean bag, basically. Eric really found it funny that everyone was joining in and doing it… he didn’t realise it was exercise. The instructions were basic enough that he could do them but it was still a challenge in that he had to learn. What I liked how it was focused on movements and gymnastics, not playing or just messing around. After the warm up song and exercise it was straight into it. This is where you’re really left to your own devices to go around the apparatus on your own, with your child/ren, but Lauren does come around to help assist and recommend moves. She took the time to talk to everyone and show us what to do but didn’t interfere. Eric liked this because he’s a bit wary of strangers. 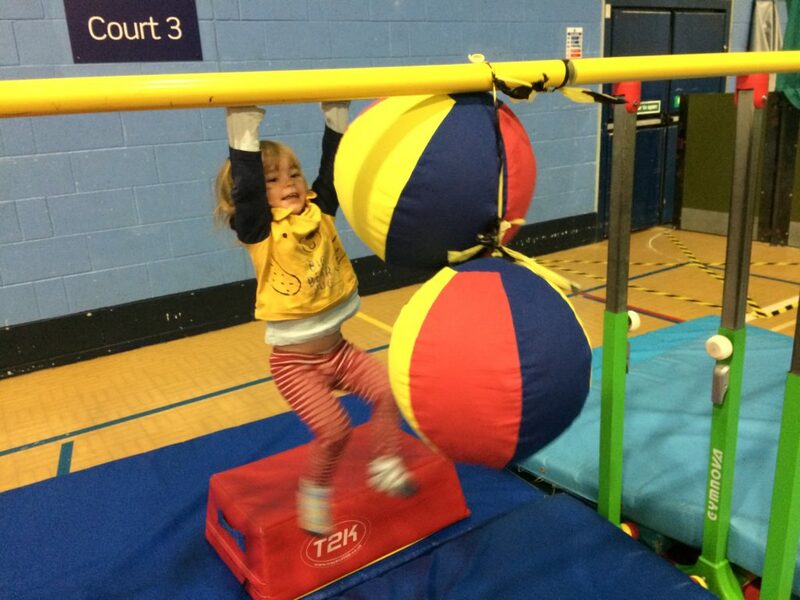 The apparatus was set out in a sort of ostacle course with a start and finish but it wasn’t 100% strict, and because there were only 4 children in the class including us you could sort of dip in and out. Eric did follow the course around a few times but went back to do his favourite parts. These were the balancing beams monkey bar things (on different levels and sone with balls to kick whilst balancing), jumping, rolling around in a tunnel and hoops to hold/swing from. Sorry, I don’t know the technical words! By the time we knew it, the class was at the end! Time did fly and Eric didn’t get bored… it went quickly and the last 15 minutes is circle time with a cool down song. Eric joined in, again, and laid on the floor doing a star shape right at the end. Lauren went around giving all the children a sticker. After the class we went and booked for a term. I liked it and even though it was basic, I’m really looking forward to see how Eric develops in it. I hope there are different parts every week, such as the basic exercises/stretches with props at the start of the class, but I assume there will be. I’ve been feeling sooo deflated lately about playgroups because they really don’t suit us. No matter how many I try, it always ends in tears… I’ve taken Eric to so many over the course of 3 years and it just doesn’t work. 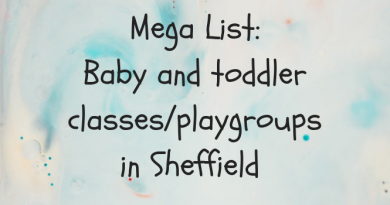 It’s got me really down at times because I feel like playgroups are such a norm that if your child doesn’t like them it’s a bit strange, and then you’re left with not many options for cheap things to do in mornings (especially if you’re a stay at home mum). Going to playgroups together is such an easy way for friends to meet up and for toddlers to make friends, it honestly felt so depressing the amount of times we have had to decline going to them because I know Eric wouldn’t enjoy them. It might sound silly now but that’s just how it has been. I don’t know why it took so long for me to consider that maybe we should just do different things… like more structured classes and activities as opposed to free play. Any groups which have circle time with toys or similar don’t work at all for us, and in the past all I’ve done is tried to change Eric for him to like them.. whereas now I’m beginning to realise that no, I should find things that are suitable for HIM, not the other way around. 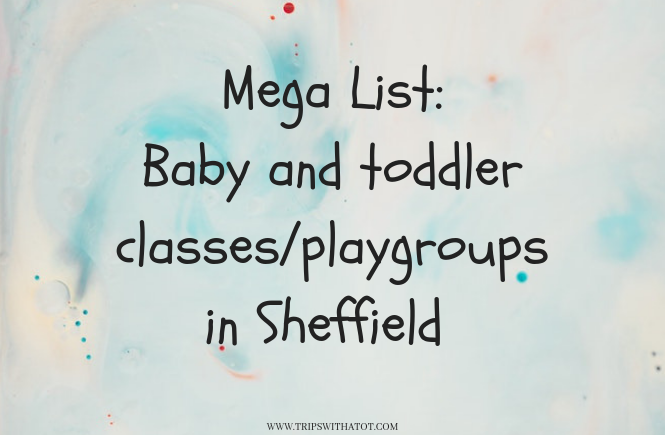 Thanks to lots of recommendations and advice on classes without toys which we can try from my post in the community group I’ve found so many. I’m feeling so positive especially after today at the gymnastics class, it was a good experience for both me and Eric; a completely different one to what it would be like if we went to a playgroup. I’ve booked trial sessions for the following: Athelots at EIS, Trampolining at Hillsborough Leisure Centre and Sports Stars at The Academy. 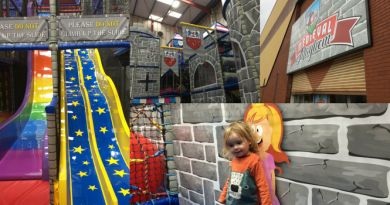 I’ve put us on the waiting list for Diddykicks football and Tumble Tots; I really hope we hear from them soon. I’ve booked a trial for January of kids Capoerira, too; really looking forward to that one. 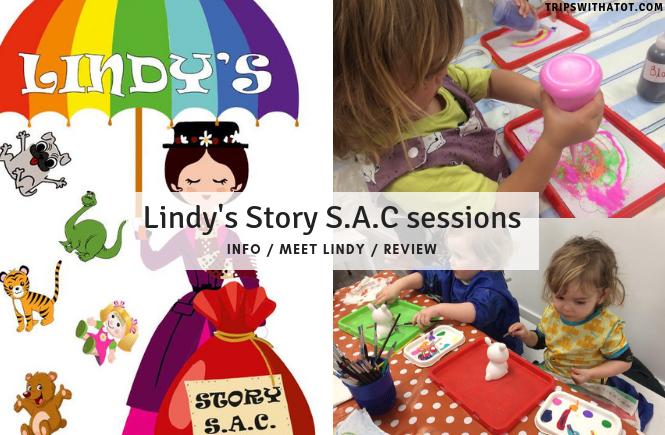 Something else we love for crafts is Lindy’s Story S.A.C sessions. Eric also goes swimming once a week and enjoys that a lot. 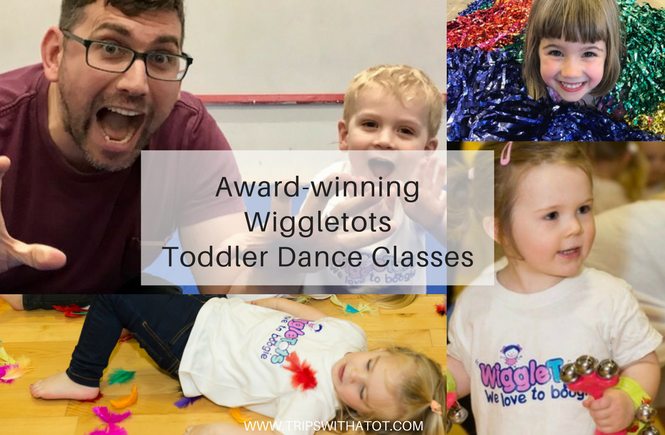 I’d love to know if you have any recommendations for classes we can try and what your little ones already enjoy. I’ve found this one and all the others from recommendations so I really appreciate them! Thank you in advance! This is so cool. 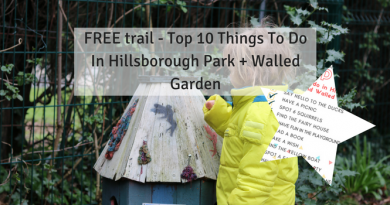 It is certainly a great way to get the kids interested in health and fitness. I wish there were more such centers. Abby recently posted…Top Learning & Educational toys for 9 year olds in 2018!